Most home improvements involve significant time and money, especially if it involves your siding. You have to make sure you have all the project’s essentials covered, including a premier siding contractor to see the project through. Much of your project’s success will depend heavily on their expertise and experience, so be sure to pick the right one for the job. This might be easier than you think—just turn to Vinylume. 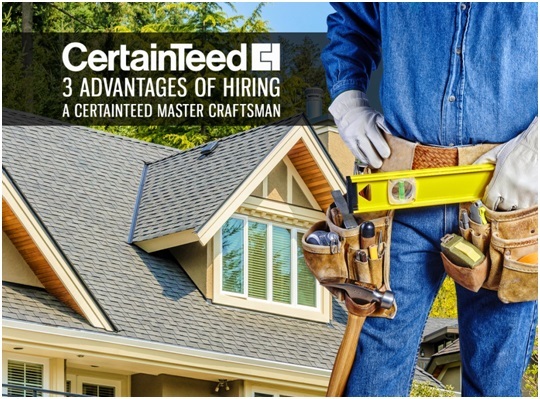 We are not just among the premier roofing contractors in Norwalk, CT. We also demonstrate our commitment to quality home improvement by earning the Master Craftsman distinction from CertainTeed. This means we meet the advanced training and education set by the program, ensuring expert solutions to your vinyl siding needs. 1. Access to High-End Vinyl Siding Options—Vinylume understands durability and quality when we see it. As a Master Craftsman, we only carry top-tier vinyl siding from CertainTeed. This siding choice offers a cost-effective way to protect your home from the harsh elements. It doesn’t require periodic painting to keep it looking beautiful. Vinyl siding also reduces the maintenance requirements usually involved with wood and composite siding. Additionally, it increases your home’s R-value, preventing considerable energy loss. Like our options for roofing in Norwalk, CT, our vinyl siding comes in a broad range of colors that can enhance the look of your home. It’s also available in many patterns and profiles. These include horizontal and vertical panels, shakes, scallops, shingles, and traditional lap. 2. Superior Workmanship—A Master Craftsman ensures safe, efficient, and timely work on your siding project. You’ll have greater ease of mind since you can trust us to install your CertainTeed siding perfectly the first time. This also lets you avoid the additional expenses needed to correct sloppy workmanship. Service any defects on the materials we install. Fix any errors in our workmanship, free of charge, for a full 20 years after the installation. Fix any minor damage to your siding, free of charge, for the first three years after the installation. We take pride in our expert siding contractors and roofers in Yonkers, NY. When in need of quality installation of your CertainTeed vinyl siding, choose a Master Craftsman like Vinylume. We’ll make sure your project runs smoothly from start to finish.